Hello Saigon Turns 5! | Hello Saigon! It’s a perfectly ordinary day made extraordinary by me finally getting this shot while crossing Nguyen Van Linh St. 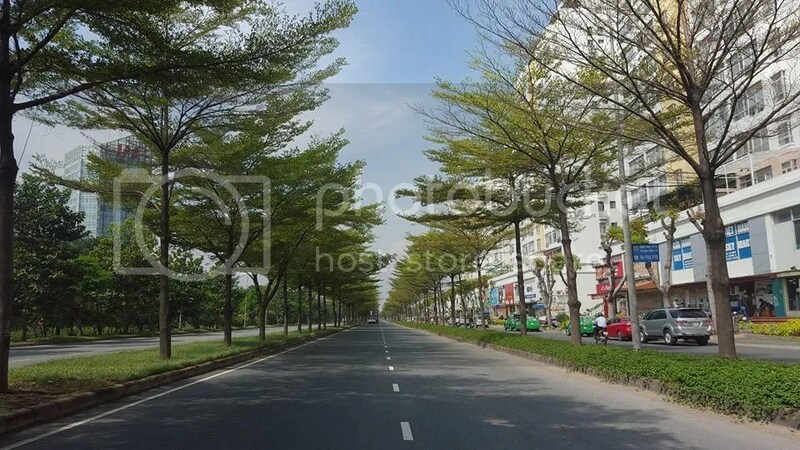 I just love the tree-lined streets of Nguyen Van Linh (Trivia: this street is named after General Nguyen Van Linh, a Vietnamese revolutionary and politician). It’s been 5 years since I got this blog up and running and hopefully I don’t run out of stuff to share to you guys. Thank you all so much for visiting and joining in my anniversary giveaways. Happy 5th Birthday, Hello Saigon! This entry was posted in Event, Spills and tagged Ho Chi Minh City, Saigon. Bookmark the permalink. 5 Responses to Hello Saigon Turns 5! Happy anniversary, Lyra! What an amazing journey it is for you. Thanks for keeping us posted about Saigon.